Sophia loves that doll cries and says mama, she has had fun giving her a bottle of water and watching her wee on the potty. When Sophia grows up she wants to be a babysitter for a job and she has certainly been getting the practice in playing with her new Tiny Tears doll, putting the nappy on and looking after her. I love how dolls like this encourage role play and imaginative play in young children and bring out their caring side. 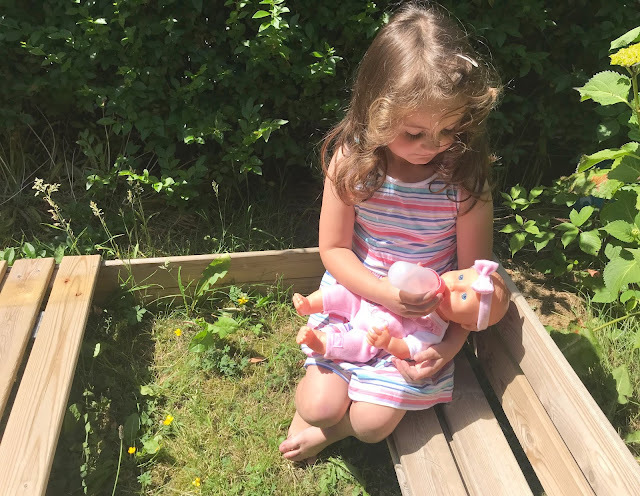 Seeing my own daughter playing with her doll brings back happy memories of when I was a child and had my own Tiny Tears doll which I got one Christmas. 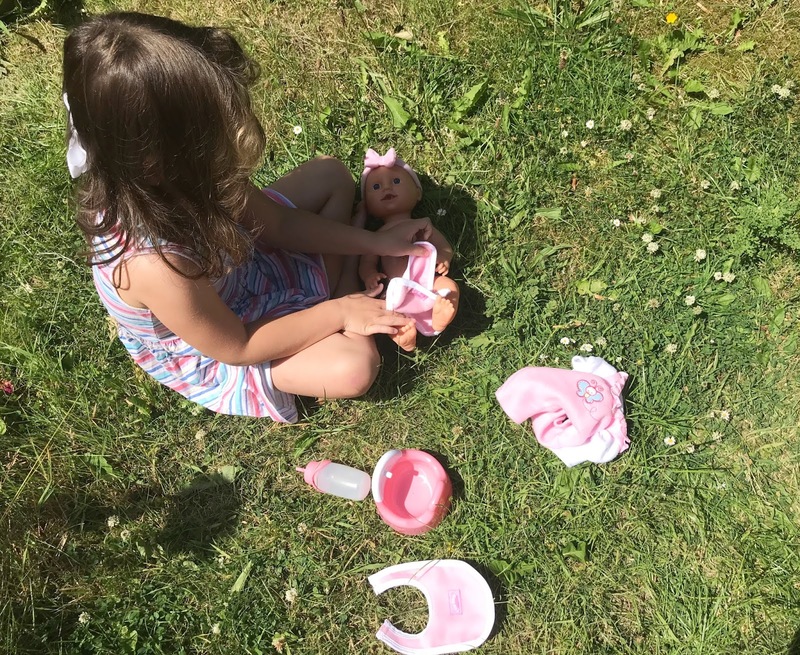 It is lovely watching her play with her doll and care for it and make up games. 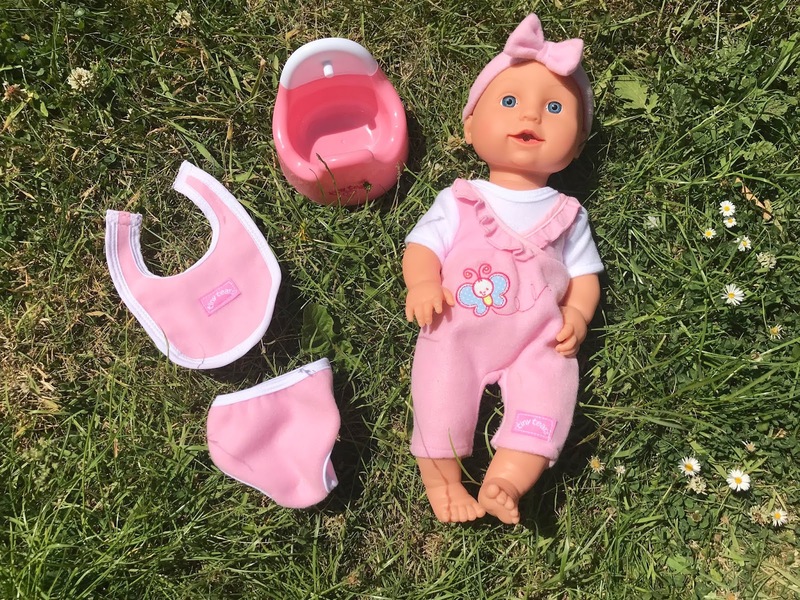 The Interactive Tiny Tears Doll is a great new addition to Sophia's doll collection and she has had great fun celebrating National Doll Day with her new baby doll. You can buy the Interactive Tiny Tears Doll From John Adams Toys RRP £32.99 from all leading toy retailers now.